The President of Tanzania, John Magufuli, has approved a proposal to upgrade five Game Reserves in Tanzania into National Parks to attract more tourists to the area. The upgraded game reserves are Burigi Game Reserve, Biharamulo Game Reserve, Kimisi Game Reserve, Ibanda Game Reserve and Rumanyika Game Reserve. 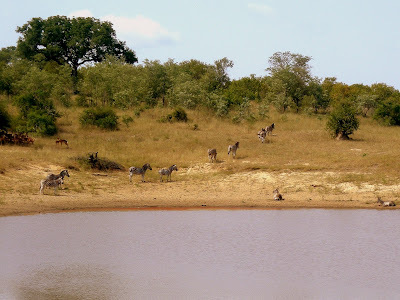 All five parks are located in the Kagera Region in northwestern Tanzania. According to Tanzania's Minister of Natural Resources and Tourism, Dr Hamisi Kigwangalla, his ministry has further forwarded other requests to the President of Tanzania to have more Reserves upgraded. These include Swaga Swaga Game Reserve, Mkungunero Game Reserve, Rungwa Game Reserve, Mhesi Game Reserve, Ugalla River Forest Reserve, Kigosi Game Reserve and Moyowosi Game Reserve. Garden Route National Park (Wilderness section): Serpentine Bridge under maintenance! The Serpentine Bridge in the Wilderness section of the Garden Route National Park is currently undergoing maintenance. The operation commenced on 22 May 2018 and is expected to continue for the next four months. Visitors are advised to enter the Ebb & Flow North rest camp from Waterside Road and also via Hoekville Road. All guests who have accommodation or camping reservations for the Ebb & Flow South rest camp will only be able to make use of the main entrance gate via the N2. Guests who have reservations for the Ebb & Flow north rest camp are requested to utilise Waterside Road via the town of Wilderness for access into the north camp. Arriving guests should also aim to arrive at the Park before 17h30. South African National Parks (SANParks) gate officials are available at the entrance gate at the Ebb & Flow north rest camp throughout the day and night in order to ensure sufficient service is provided to arriving guests. South Africa: CemAir to launch flights to Kimberley & Richards Bay! South African regional carrier CemAir has launched four daily flights between OR Tambo International Airport (JNB) in Johannesburg and Kimberley Airport (KIM) in Kimberley today (28 May 2018) and is set to launch two daily flights between Johannesburg and Richards Bay Airport (RCB) in Richards Bay on 29 May 2018. Both routes were previously served by SA Express, which was grounded by the South African Civil Aviation Authority (SACAA) last week. update (30 May 2018): South African Airways (SAA) has announced an extended schedule as part of the interventions to sustain SA Express network. This is through replacement capacity for a year with partner airlines to support SA Express passengers. update (28 May 2018): South African Airways has released a month-long recovery schedule until the end of June 2018 for passengers affected by the grounding of SA Express. update (25 May 2018): Please follow this link to view the new flight schedule for this weekend. The South African Civil Aviation Authority (SACAA), the national aviation authority of South Africa, has grounded state-owned South African airline SA Express with immediate effect. The authority suspended the airline's Air Operator's Certificate (AOC)*, the Aircraft Maintenance Organisation (AMO) approvals as well as the Certificates of Airworthiness (CoA) of nine of the airline's 21 aircraft. This effectively means that as of today (24 May 2018), SA Express can no longer continue to operate as an airline. The decision to revoke the airline's permits comes after the SACAA conducted an audit at the airline and its maintenance organisation in the past several days, which uncovered severe cases of non-compliance that pose serious safety risks. We'll keep you posted! British Airways to increase flights between London <> Johannesburg! The flag carrier and the largest airline in the United Kingdom, British Airways, will expand its service between Heathrow Airport (LHR) in London and OR Tambo International Airport (JNB) in Johannesburg by four weekly flights per week from 28 October 2018. The additional flights will be operated on board the airline's newest aircraft, the Boeing 787-800 Dreamliner. British Airways currently operates 14 flights per week between London and Johannesburg on board the Airbus A380. British Airways to suspend operations between London <> Luanda (Angola)! The flag carrier and the largest airline in the United Kingdom, British Airways, will suspend its twice-weekly service between Heathrow Airport (LHR) in London and Quatro de Fevereiro International Airport (LAD) in Luanda. The last flight from London to Luanda will be on 07 June 2018, while British Airways' last London-bound flight departing from Angola's capital will be on 09 June 2018. The airline currently operates a Boeing 787-9 Dreamliner on the route. iSimangaliso Wetland Park: Temporary closure of Cape Vidal ablution block! The management of the iSimangaliso Wetland Park, South Africa's first UNESCO World Heritage Site, has announced that the ablutions at Cape Vidal boat launching area will be temporarily closed from 28 May 2018 due to a new conservancy tank being installed. The installation of the tank is expected to be finished by the last week of June 2018. The Park's management recommends to make use of the northern car park ablutions and showers during this construction phase. Kruger Lowveld Tourism has released the new 2018 image video for the Kruger Lowveld. The region is located in South Africa's Mpumalanga Province and is bordered by the towns of Komatipoort in the east, Lydenburg/Mashishing in the west, Barberton in the south and Hoedspruit in the north. Other well-known towns and places of interest in the Kruger Lowveld include Sabie, Graskop, Pilgrim's Rest, Hazyview, Nelspruit/Mbombela, as well as the Kruger National Park, the Panorama Route and the Barberton Makhonjwa Geotrail. Enjoy! The Emfuleni Corridor Tourism Association (ECTOUR), an umbrella body of tourism associations from various tourism nodes across South Africa's Eastern Cape, has released a new image video highlighting the various attractions of the Wild Coast. The coastal region, which stretches from the Mtamvuna River in the north to the Great Kei River in the south, is an adventure playground where untamed nature, ancient legends and iconic features and leaders converge. The resorts, nature reserves and camping facilities although remote, offer unsurpassed experiences to all visitors. The Wild Coast offers value for money holidays year round due to the mild winters and fantastic summers. Attractions include various hiking trails, mountain bike trails and events, horse riding, adventure races, the Greatest Shoal on Earth as well as long deserted beaches. The Emfuleni Corridor Tourism Association (ECTOUR), an umbrella body of tourism associations from various tourism nodes across South Africa's Eastern Cape, has released a new image video highlighting the various attractions travellers can experience along the Route 72 on the Sunshine Coast. South Africa's Sunshine Coast stretches along the Route 72 from Port Elizabeth in the west along about 300 km of sandy beaches to East London in the east, and northwards to the historically rich region of the Frontier Country. Attractions include some of the world's best sandy beaches, dune fields and sandstone rocky outcrops, a full variety of water sports (including world class surfing, sailing and snorkelling), quality golf courses, historical trails, a variety of Eco-walks and attractions, many annual festivals and welcoming locals. Cape Town: Cape Point's "Flying Dutchman Funicular" is down! update (03 June 2018): The funicular is up and running. update (29 May 2018): The Flying Dutchman Funicular is still down. The Flying Dutchman Funicular, located at Cape Point near the Cape of Good Hope, will be down for (at least) the rest of the week. No further information were made available by the management. We'll keep you posted! The Flying Dutchman Funicular, also known as Cape Point Furnicular, runs between the Cape Point parking area and the viewing point below the lighthouse. The track is 585m long, and rises 87m from the lower station (at 127m m a.s.l) to the upper station (at 214m m a.s.l). The Flying Dutchman Funicular was the first commercial funicular of its kind in Africa. Cape Town <> Johannesburg was Africa's busiest airline route 2017! According to a research by Routesonline, the flight between Cape Town International Airport (CPT) in Cape Town and OR Tambo International Airport (JNB) in Johannesburg is the busiest airline route in Africa. More than 4.7 million passengers flew between the two destinations in 2017. Eight airlines service the route and operated more than 34,000 flights (average of 95 flights per day). The average ticket price was 58GBP/66€/$78$/ZAR995. The second-busiest route in Africa was the flight between OR Tambo International Airport (JNB) in Johannesburg and King Shaka International Airport (DUR) in Durban. A total of 2.87 million passengers flew between the two cities in the last calendar year. Air Seychelles to increase flights between Seychelles <> Johannesburg! The national airline of the Republic of Seychelles, Air Seychelles, will increase the frequency of its flights between Seychelles International Airport (SEZ) on the island of Mahé and OR Tambo International Airport (JNB) in Johannesburg from currently five weekly flights to six weekly flights from 03 July 2018. The new service will be operated by an Airbus A320 and will provide an additional 252 seats per week. In addition, guests looking to travel via Seychelles to Mumbai will be provided a seamless connectivity of less than 2 hours via Seychelles. Kenya: Free 24hrs WiFi at Jomo Kenyatta International Airport in Nairobi! Kenya Airports Authority (KAA), the owner and operator of nine civilian airports and airstrips in Kenya, has introduced 24hrs free WiFi at the country's main international Airport, Jomo Kenyatta International Airport (NBO) in Nairobi. The airport previously granted free access to the WiFi network for only one hour after which users were subjected to pay to use the service. Cape Town Tourism has released a new episode of the "The Love Cape Town Neighbourhood series" featuring Mitchells Plain, a township located on the Cape Flats on the False Bay coast between Muizenberg and Khayelitsha. Previous episodes of the "The Love Cape Town Neighbourhood series" include Kalk Bay, Cape Town CBD, Woodstock, Constantia, Somerset West, Langa, Khayelitsha, Durbanville, Blouberg and the Bo-Kaap. "The Love Cape Town Neighbourhood series" was launched by Cape Town Tourism in 2015 to promote and highlight Cape Town's diverse suburbs. The first three episodes were released in September 2015, another three in March 2016, the seventh episode on 15 January 2017, the eigth episode on 07 March 2017, the ninth episode on 04 May 2017, the tenth episode on 16 August 2017 and the 11th episode on 16 May 2018. Kenya Airways cuts baggage allowance on intra-Africa flights! Kenya's flag carrier, Kenya Airways, today (15 May 2018) implemented a new baggage policy. According to the new regulation, the airline's customers on intra-Africa flights in economy class are allowed to have only one bag at a maximum weight of 23kg per passenger. Additional bags are charged with an extra fee, which is getting discounted by 20% when booked 24hrs prior to scheduled departure. The new intra-Africa one free bag allowance does not apply to passengers travelling to and from other continents. Business class passengers will maintain their allowance at two free bags at 32kg maximum weight per bag. Ethiopian Airlines to introduce flights between Addis Ababa <> Manchester! Ethiopia's flag carrier, Ethiopian Airlines, is set to introduce a four-times-a-week service between Bole International Airport (ADD) in Addis Ababa and Manchster Airport (MAN) in Manchester. The service will start on 01 December 2018, initially transiting via Brussels Airport (BRU) in Brussels. It will leave Addis Ababa at 00:45, arriving in Manchester at 06:55. On the return it departs Manchester at 19:00 and arrives in Addis Ababa at 06:00. Ethiopian Airlines will operate the ultramodern Boeing 787 on the route with business and economy classes. National Museums and Monuments of Zimbabwe: Free entry on International Museum Day! The Zimbabwe Tourism Authority (ZTA) just announced on Facebook, that National Museums and Monuments of Zimbabwe (NMMZ), the premier heritage organization in Zimbabwe, will offer free entrance to all its museums on International Museum Day on 18 May 2018. The country's official International Museums Day celebrations will be held at the Great Zimbabwe World Heritage Site, located in the south-eastern hills of Zimbabwe near Lake Mutirikwe and the town of Masvingo. Zambia: Proflight Zambia to launch flights between Lusaka <> Harare! update (12 June 2018): Tickets for Proflight Zambia's new route between Lusaka and Harare go on sale from today (12 June 2018) ahead of the launch of the service on 09 July 2018. Zimbabwe's state-owned daily newspaper The Herald reports (online edition, 14 May 2018) that Proflight Zambia, the operator of the largest fleet of aircraft in Zambia, is set to introduce scheduled flights between Kenneth Kaunda International Airport (LUN) in Lusaka and Robert Gabriel Mugabe International Airport (HRE) in Harare. The airline will launch the service during the first week of July 2018 and will operate four weekly flights on Mondays, Tuesdays, Thursdays and Saturdays on board 29-seater Jetstream 4100 (J41). iSimangaliso Wetland Park: Temporary road closure in the uMkhuze section! The management of the iSimangaliso Wetland Park, South Africa's first UNESCO World Heritage Site, has announced that there will be no access for tourist vehicles south of the Loop Road from 14 May 2018 due to road maintenance in the Park's uMkhuze section. The repairs are expected to last until late August 2018, weather permitting. Elsewhere in the uMkhuze section, routine maintenance is underway but it is not foreseen that this will cause any further closures. We'll keep you updated! Kenya: Sections of Nairobi National Park temporarily closed! Visitors are advised to avoid these roads. The rest of Nairobi National Park's, circuits are still accessible, however the Kenya Wildlife Service is recommending visitors use four-wheel-drive vehicles. Airlink enhances its service between Cape Town <> Maun and Cape Town <> Victoria Falls! South African carrier Airlink will from 04 June 2018, enhance its service between Cape Town International Airport (CPT) in Cape Town and Maun Airport (MUB) in Maun, and on 02 July 2018, its service between Cape Town and Victoria Falls International Airport (VFA) in Victoria Falls, utilizing 83 seater Avro RJ regional jet aircraft, including business class. Iziko Museums of South Africa: Free entry on International Museum Day! Iziko Museums of South Africa just announced on Facebook that visitors will have free access to all of its museums and galleries in Cape Town (except for the Iziko Planetarium & Digital Dome, Groot Constantia and the Castle of Good Hope) on International Museum Day on 18 May 2018. Eurowings has launched a new service between Munich <> Windhoek! German carrier Eurowings, a fully owned subsidiary of the Lufthansa Group, has launched a new service between Munich Airport (MUC) in Munich and Hosea Kutako International Airport (WDH) in Windhoek on 07 May 2018. The airline initially operates one weekly return flight to Namibia's capital on Mondays/Tuesdays and might increase the frequency to two weekly flights in the near future (July 2018?). British Airways to introduce direct flights between London <> Durban! The flag carrier and the largest airline in the United Kingdom, British Airways, is set to introduce scheduled direct flights between Heathrow Airport (LHR) in London and King Shaka International Airport (DUR) in Durban. Effective 29 October 2018, the airline will operate three weekly return flights to Durban on board a Boeing 787-8. The service will be the only non-stop link between Europe and Durban. Namibia: The Ausspannplatz in Windhoek has been renamed! The Ausspannplatz in Namibia's capital Windhoek, a square located near the city's central business district (CBD) at the southern end of the Independence Avenue (see map), has been officially renamed. The square's new name is Dr António Agostinho Neto Square, in honour of Angola's late founding president. South Africa: Airlink to offer additional flights to St Helena & Ascension! South African carrier Airlink is set to operate an additional 19 midweek flights between OR Tambo International Airport (JNB) in Johannesburg and St. Helena Airport (HLE) on the island of St Helena in the Atlantic Ocean between December 2018 and April 2019. The additional flights, which will operate alongside the current schedule, are allowing passengers the options of three, four, seven or ten night stays (or indeed longer) on the island. January 2019 to meet anticipated demand during the peak period. Garden Route National Park: Progress of hiking trails in the Harkerville area after the fires in June 2017! The trail was re-routed in December 2017 pending the recovery of the burnt area however the coastal portion of the trail is still closed. An alternative scenic route was opened along the coastal ridge. Bookings for the trail are open. The Kranshoek Trail is still closed, and maintenance work is currently underway. About 90% of the route is complete but rebuilding and rehabilitation of the route is underway. Currently still closed and not accessible to visitors as yet until management and scientists have finalised urgent deliverables pertaining to the area. Garden Route National Park: 4 additional hiking trails received Green Flag Trails accreditation! An additional four hiking trails in the Wilderness section of the Garden Route National Park in South Africa received Green Flag Trails accreditation from the Hiking Organisation of Southern Africa (HOSA). The four trails include the Half Collard Kingfisher trail (9,65km), Dune Mole Rat trail (8,2km), Woodville Big Tree (2km) and the Circles in the Forest trail (3,4km). This brings the number of accredited hiking trails in the Garden Route National Park to 18. Eurowings to suspend flights between Munich <> Cape Town! German carrier Eurowings, a fully owned subsidiary of the Lufthansa Group, will not only suspend its service between Cologne Bonn Airport (CGN) and Cape Town International Airport (CPT) in Cape Town, but also between Munich Airport (MUC) in Munich and Cape Town. The airline will terminate the service in October 2018. According to a Eurowings spokesperson, the arline will resume flights to Cape Town in the future, but has no immediate plans. According to a press release by South African National Parks (SANParks), Kruger National Park's Numbi Gate is inaccessible due to protests taking place in the surrounding areas such as Mahushu on the R538 today (03 May 2018) and is blocked at the moment. Guests are advised to use alternative routes e.g. R40/Kiepersol and the Phabeni Gate or the Paul Kruger Gate to access or exit Kruger National Park until further notice.